Yo yo yo. Quick shout out to the families for allowing us to go on this amazing trip! It has already passed all expectations that we have had. We think it's safe to say we all stepped out of our comfort zone and learned something new today. 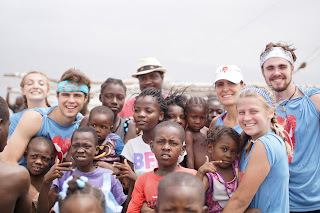 Today we worked the water truck and carried buckets of water with the Haitians. These people are extremely thankful for everything they have, and are so willing to also give up any of it for the people around them. 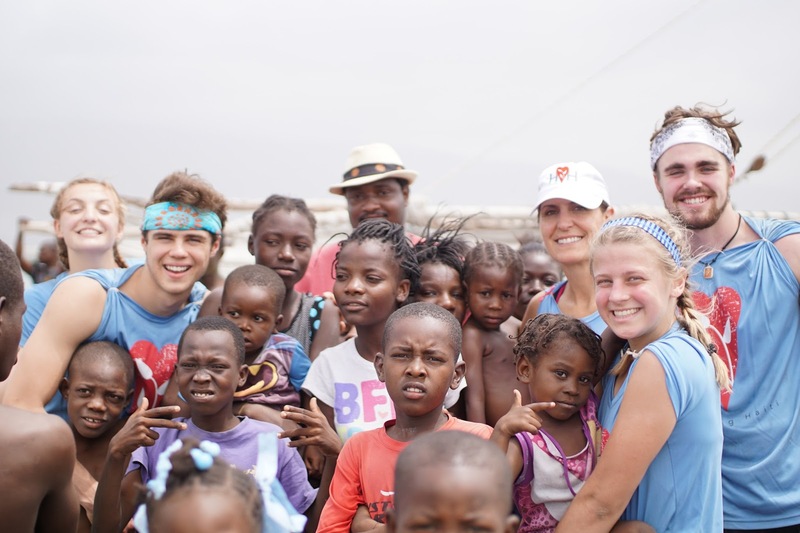 Love is in Haiti, and today we had the honor of receiving it in so many ways. From hugs from the children, smiling to those around you, and looking into the kids eyes you could see the love they had for life. God blessed us with the ability to see a new part of His kingdom and its beautiful. We have the opportunity to learn from the people of Haiti, they teach us the importance of showing love for others and being grateful for what you have. The children with so little want to give so much, and that is quite humbling. Today has been eye opening and has really set the tone for the week. We are ready to get back out tomorrow and grow deeper in our faith and learn some more from all of the people we encounter! Peace out till tomorrow.